Martin Schäler was born in 1985 in Havelberg (Germany). He received his Master degree from the Otto-von-Guericke University Magdeburg in 2010. Afterwards he was employed as a research assistant and scientific coordinator at the Otto-von-Guericke University Magdeburg receiving his Ph.D. degree in 2014. 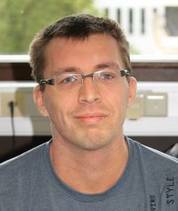 Since August 2015 he is a post-doctoral researcher at the DBIS working group (Lehrstuhl für Systeme der Informationsverwaltung) of Prof. Böhm at the Karlsruhe Institute of Technology. His research interests include Scientific Data Management, Hardware-sensitive Database Tuning, Time Series Analytics, and Provenance. Ábel Elekes, Antonino Di Stefano, Martin Schäler, Klemens Böhm, Matthias Keller. Learning from Few Samples: Lexical Substitution with Word Embeddings for Short Text Classification. Accepted for ACM/IEEE Joint Conference on Digital Libraries (JCDL). 2019. Jens Willkomm, Christoph Schmidt-Petri, Martin Schäler, Michael Schefczyk, Klemens Böhm. Relying on Google Books. Accepted for Digital Humanities (DH). 2018. Christine Tex, Martin Schäler, Klemens Böhm. Distance-Based Data Mining Over Encrypted Data. IEEE 34rd International Conference on Data Engineering (ICDE), pages 1264-1267, 2018. Christine Tex, Martin Schäler, Klemens Böhm. Towards Meaningful Distance-Preserving Encryption. 30th International Conference on Scientific and Statistical Database Management (SSDBM), pages 2:1-2:12, 2018. Christine Tex, Philipp Hertweck, Martin Schäler, Klemens Böhm. PrivEnergy – A Privacy Operator Framework Addressing Individual Concerns. International Conference on Future Energy Systems (ACM e-Energy), pages 426-428, ACM. 2018. Jens Willkomm, Christoph Schmidt-Petri, Martin Schäler, Michael Schefczyk, Klemens Böhm. A Query Algebra for Temporal Text Corpora. ACM/IEEE Joint Conference on Digital Libraries (JCDL), pages 183-192, ACM. 2018. Ábel Elekes, Adrian Englhardt, Martin Schäler, Klemens Böhm. Resources to Examine the Quality of Word Embedding Models Trained on n-Gram Data. Conference on Computational Natural Language Learning (CoNLL), pages 423-432, 2018. David Broneske, Veit Köppen, Gunter Saake, Martin Schäler. Accelerating Multi-Column Selection Predicates in Main-Memory - The Elf Approach. In IEEE 33rd International Conference on Data Engineering (ICDE), pages 647-658. IEEE, 2017. Ábel Elekes, Martin Schäler, Klemens Böhm. On the Various Semantics of Similarity in Word Embedding Models. Accepted for ACM/IEEE Joint Conference on Digital Libraries (JCDL). ACM, 2017. Veit Köppen, Mario Hildebrandt, and Martin Schäler. On Performance Optimization Potentials Regarding Data Classification in Forensics. In BTW Workshops, volume 242 of LNI, pages 21–36, Hamburg, 2015. Köllen Verlag. Veit Köppen, Martin Schäler, and Reimar Schröter. Toward Variability Management to Tailor High Dimensional Index Implementations. In EEE Eighth International Conference on Research Challenges in Information Science (RCIS), pages 452–457. IEEE, 2014. Andreas Lübcke, Martin Schäler, Veit Köppen, and Gunter Saake. Relational On Demand Data Management for IT-Services. In IEEE Eighth International Conference on Research Challenges in Information Science (RCIS), pages 561–572. IEEE, 2014. David Broneske, Martin Schäler, and Alexander Grebhahn. Extending an Index-Benchmarking Framework with Non-Invasive Visualization Capability. In Workshop on Information Systems in Digital Engineering (ISDE), BTW-Workshops, pages 151–160. Köllen-Verlag, 2013. Alexander Grebhahn, Martin Schäler, Veit Köppen, and Gunter Saake. Privacy-Aware Multidimensional Indexing. In 15. GI-Fachtagung Datenbanksysteme für Business, Technologie und Web (BTW), pages 133–147. Köllen-Verlag, 2013. Alexander Grebhahn, Martin Schäler, and Veit Köppen. Secure Deletion: Towards Tailor-Made Privacy in Database Systems. In Workshop on Databases in Biometrics, Forensics and Security Applications (DBforBFS), BTW-Workshops, pages 99–113. Köllen-Verlag, 2013. Stefan Kirst and Martin Schäler. Database and Data Management Requirements for Equalization of Contactless Acquired Traces for Forensic Purposes. In Workshop on Databases in Biometrics, Forensics and Security Applications (DBforBFS), BTW-Workshops, pages 89–98. Köllen-Verlag, 2013 - Best workshop paper. Andreas Lübcke, Martin Schäler, Veit Köppen, and Gunter Saake. Workload-based Heuristics for Evaluation of Physical Database Architectures. In DB&IS, pages 3–10, Vilnius, Lithuania, July 2012. University of Vilnius. Martin Schäler, Thomas Leich, Marko Rosenmüller, and Gunter Saake. Building Information System Variants with Tailored Database Schemas Using Features. In 24th International Conference on Advanced Information Systems Engineering (CAiSE), volume 7328 of LNCS, pages 597 – 612. Springer, June 2012. Ina Lindauer, Martin Schäler, Claus Vielhauer, Gunter Saake, and Mario Hildebrandt. A First Proposal for a General Description Model of Forensic Traces. In SPIE Photonics Europe, pages 8436–29, 2012. Martin Schäler, Sandro Schulze, and Gunter Saake. Toward provenance capturing as cross-cutting concern. In 4th USENIX Workshop on the Theory and Practice of Provenance (TaPP '12), 2012. Alexander Grebhahn, David Broneske, Martin Schäler, Reimar Schröter, Veit Köppen, and Gunter Saake. Challenges in finding an appropriate multi-dimensional index structure with respect to specific use cases. In Proceedings of the 24th GI-Workshop "Grundlagen von Datenbanken 2012", pages 77–82. CEUR-WS, 2012. urn:nbn:de:0074-850-4. Martin Schäler, Thomas Leich, Norbert Siegmund, Christian Kästner, and Gunter Saake. Generierung maßgeschneiderter Relationenschemata in Softwareproduktlinien mittels Superimposition. In 14. GI-Fachtagung Datenbanksysteme für Business, Technologie und Web, volume P-180 of LNI, pages 414–534. GI, 2011. Martin Schäler, Sandro Schulze, and Stefan Kiltz. Database-Centric Chain-of-Custody in Biometric Forensic Systems. In The Third European Workshop on Biometrics and Identity Management, number 6583 in LNCS, pages 250 – 261. Springer, 2011. Martin Schäler, Sandro Schulze, Ronny Merkel, Gunter Saake, and Jana Dittmann. Reliable Provenance Information for Multimedia Data Using Invertible Fragile Watermarks. In 28th British National Conference on Databases (BNCOD), volume 7051 of LNCS, pages 3 – 17. Springer, 2011. Adrian Englhardt, Jens Willkomm, Martin Schäler, Klemens Böhm. Improving Semantic Change Analysis by Combining Word Embeddings and Word Frequencies. IJDL Journal, IEEE. 2019. David Broneske, Veit Köppen, Gunter Saake, Martin Schäler. Efficient evaluation of multi-column selection predicates in main-memory. Accepted for TKDE special issue – Best of ICDE 2017, IEEE. 2018. Ábel Elekes, Martin Schäler, Klemens Böhm. Towards Meaningful Notions of Similarity in NLP Embedding Models. IJDL special issue – Best of JCDL 2017, IEEE. 2018. Natalia Arzamasova, Martin Schäler, Klemens Böhm. Cleaning Antipatterns in an SQL Query Log. TKDE Journal, vol. 30, no. 3, pp. 421-434, March 2018. Veit Köppen, David Broneske, Martin Schäler, and Gunter Saake. Elf: A Main-Memory Index for Efficient Multi-Dimensional Range and Partial Match Queries. Accepted for IJAETMAS Journal. Martin Schäler, Alexander Grebhahn, Reimar Schröter, Sandro Schulze, Veit Köppen, and Gunter Saake. QuEval: Beyond high-dimensional indexing à la carte. PVLDB, 6(14):1654–1665, September 2013. Veit Köppen, Martin Schäler, Alexander Grebhahn, and Gunter Saake. BTW 2013 – Zwischen wissenschaftlicher Geschichte und moderner Herausforderung. Datenbank-Spektrum, June 2013. Veit Köppen, David Broneske, Martin Schäler, and Gunter Saake. Elf: A Main-Memory Index for Efficient Multi-Dimensional Range and Partial Match Queries. Technical Report FIN-002-2015, Otto-von-Guericke-University Magdeburg, 2015. Andreas Lübcke, Martin Schäler, and Gunter Saake. Dynamic Relational Data Management for Technical Applications. Technical Report FIN-002-2013, Otto-von-Guericke-Universität Magdeburg, 2013. Martin Schäler, Sandro Schulze, Alexander Grebhahn, Veit Köppen, Andreas Lübcke, and Gunter Saake (Hrsg.). Techniken zur forensischen Datenhaltung - Ausgewählte studentische Beiträge. Collection FIN-05-2012, , Otto-von-Guericke-Universität Magdeburg, 2012. Martin Schäler, Sandro Schulze, and Gunter Saake. A Hierarchical Framework for Provenance Based on Fragmentation and Uncertainty. Technical Report FIN-01-2012, Otto-von-Guericke-Universität Magdeburg, 2012. Martin Schäler. Minimal-invasive provenance integration into data-intensive systems. Dissertation, Otto-von-Guericke-Universität Magdeburg, 2014. Martin Schäler. Produktlinientechnologien für den Entwurf variabler DB-Schemata unter Berücksichtigung evolutionärer Änderungen. Diplomarbeit, Otto-von-Guericke-Universität Magdeburg, 2010.